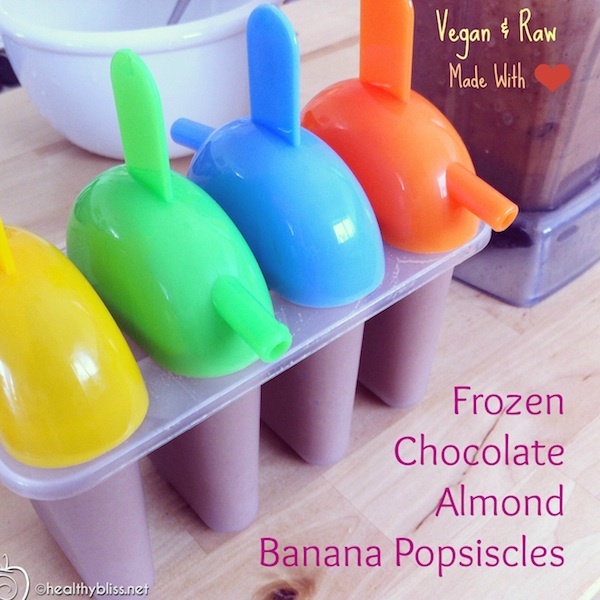 These yummy frozen treats are great after a hot day! If you’re looking for a healthy dessert for your kids, or are a former ice cream lover wanting a healthy upgrade, or even if you want a new raw food dessert recipe to try, then these popsicles are for you! The perfect frozen summer treat, and it’s healthy! The best part about this recipe is that it’s fast and easy and doesn’t have a lot of ingredients. Raw food for busy people? Totally possible! Affordable vegan and vegetarian food? Yes! Something healthy that actually tastes good? You bet! Scroll down to see how. 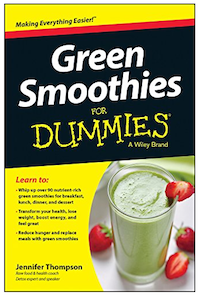 Blend just a few simple organic ingredients to make yummy frozen raw treats! 1. Soak 2 cups of organic almonds overnight. Rinse and drain. 2. Peel 4 ripe organic bananas and cut bananas into pieces. Place in a ziplock bag and put in the freezer overnight. – 2 Tablespoons raw honey (optional) Note: For vegans, use 2 teaspoons of organic stevia powder instead. 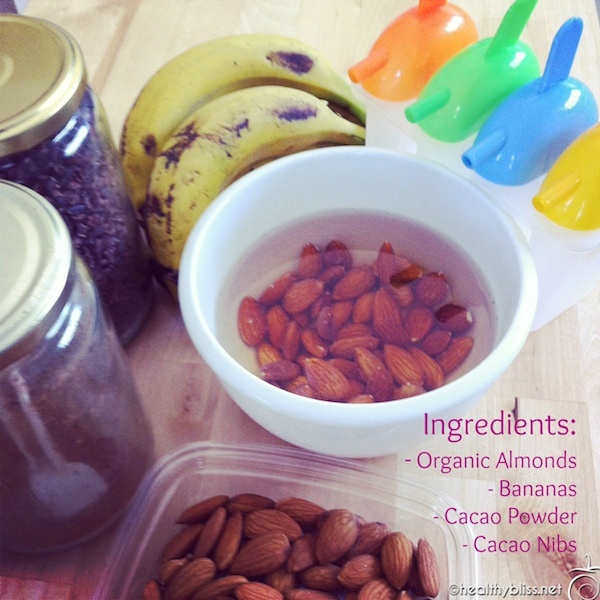 Want to know where to buy the organic cacao powder, cacao nibs, raw honey or stevia powder? Check this link! 4. Blend until creamy and smooth. 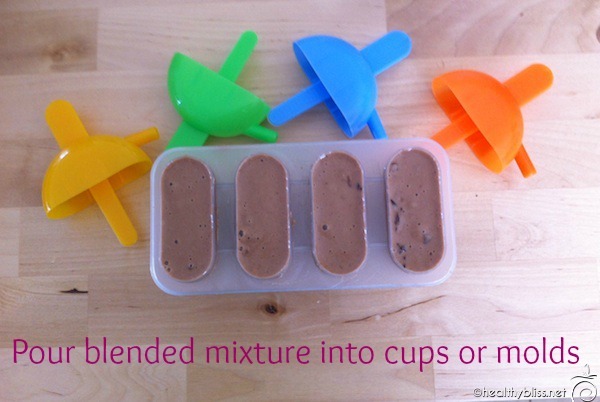 Place the blended mixture into molds then freeze for at least 6 hours or overnight. 5. Pour blended mixture into cups or molds. Add a wooden stick or holder to make the popsicle easy to hold once it’s set. 6. Once the molds are filled, place them into the freezer for at least 6 hours or overnight. 7. Now they’re ready to eat! 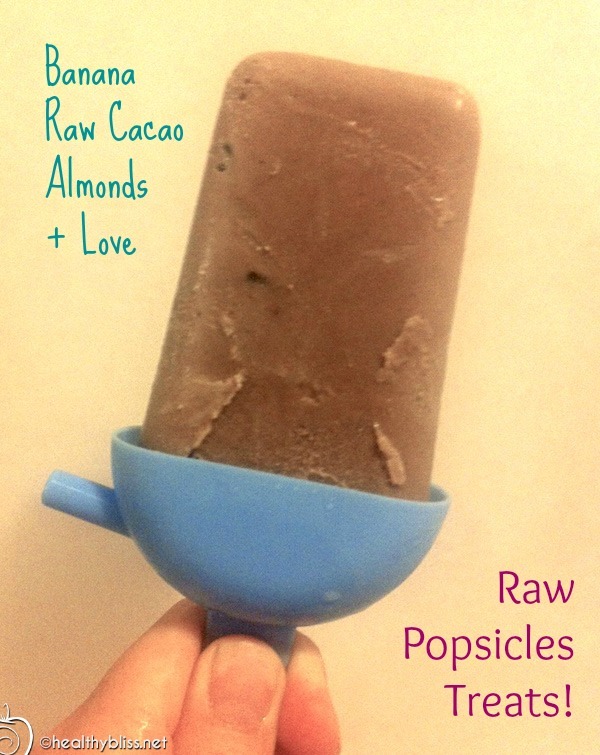 Simply pop the frozen treat out of the mold and you’ve got your own homemade healthy popsicle! 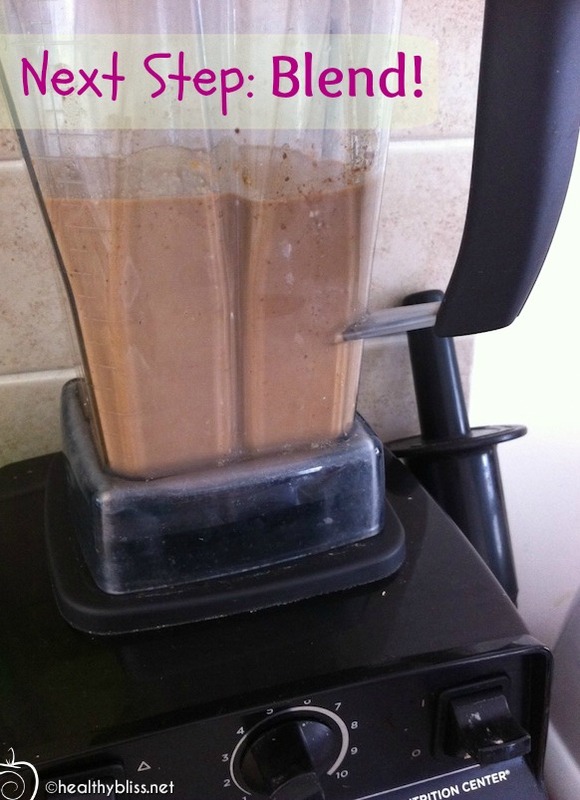 This is a fast and easy way to make the chocolate lover in your house happy with a healthy raw cacao frozen treat! Kids love them and believe me, adults love them too! This recipe is also gluten-free so it’s perfect for anyone looking for good wheat-free desserts. 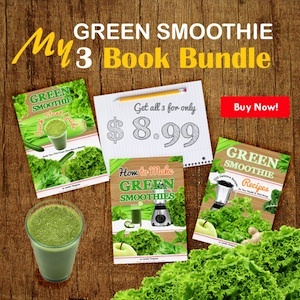 And, it’s a fun way to share the idea of raw food with family and friends. When they see for themselves how good it tastes, they might actually want to know more! 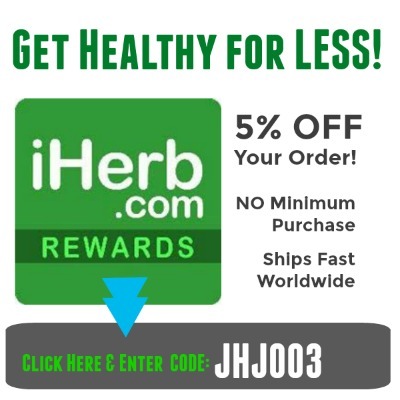 Using 100% certified organic ingredients gives you the best quality, flavor and nutrients! For more on how to start a raw food diet, how to do a detox at home or what minerals you may specifically be deficient in, book a private health consult with me via Skype. 1. Take photos of your eyes with a digital camera. 2. Email the photos to me for approval. Recipe for Super Energy Seed Crackers…& without a Dehydrator!